In today's world of work, employer brand and consumer brand are inextricably linked. 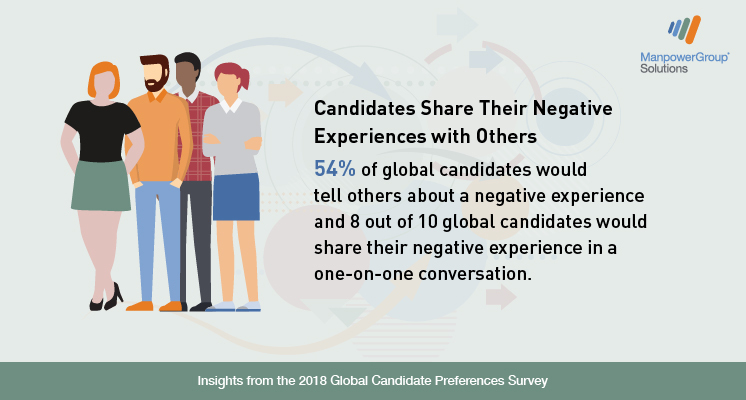 Today's candidates are tomorrow's customers, and companies should devote equal energy and resources toward the candidate experience as they do to the consumer experience. 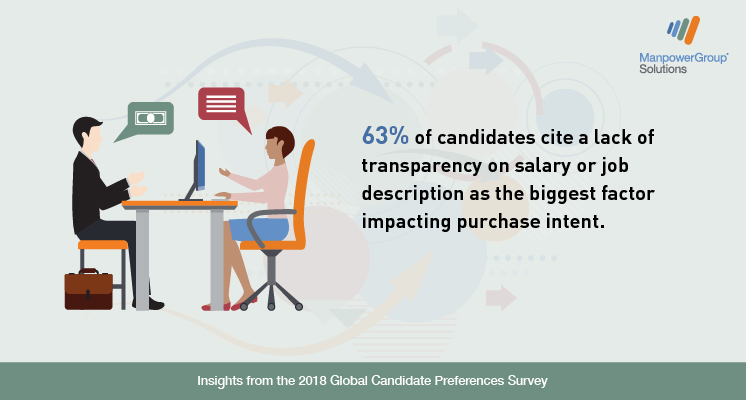 To find out how hiring experiences can influence buying decisions, we asked 18,000 workers across 24 influential employment markets to share what matters most to them in the job search process. 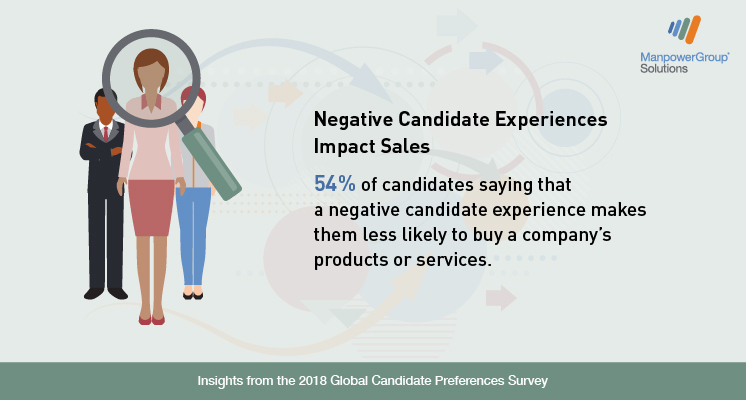 We explored to impact of negative candidate experiences on purchase intent, and the types of negative experiences are most damaging. 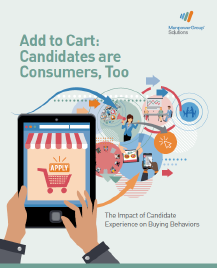 Download our whitepaper and find out more about the dynamics of candidates as consumers. As well as exploring the impact of hiring experiences on buying behaviours, the report also makes five practical suggestions to strengthen your employer brand. 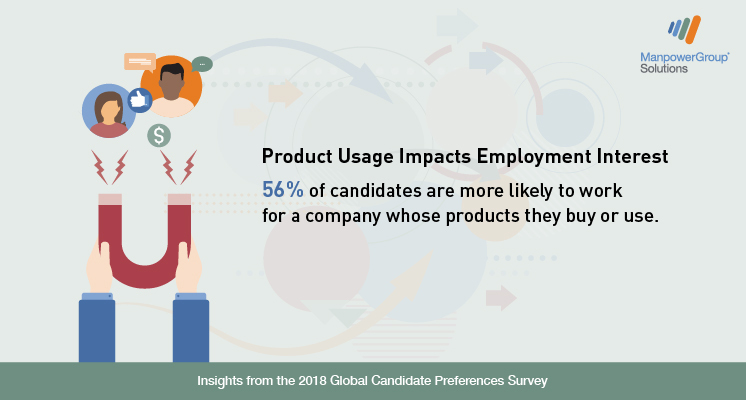 ManpowerGroup Solutions uncovered what impacts the candidate experience during a job search, including candidate behaviors and motivators when looking for employment. 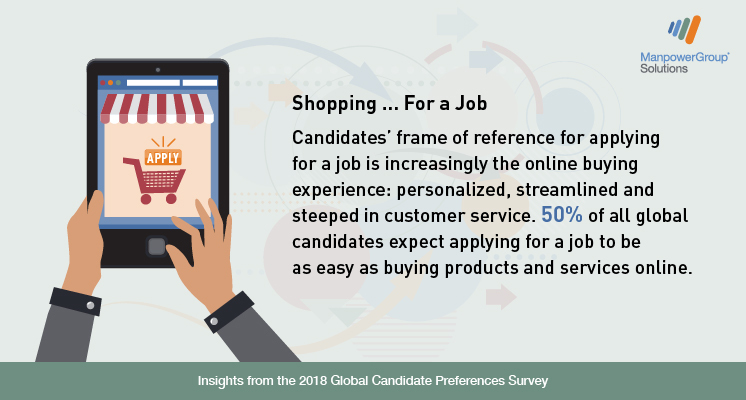 The results revealed important trends impacting retention and recruitment, including what drives candidates to job search, the tools they use, the challenges they face and the extent to which companies play a role in their hiring decisions. An organisation’s unique challenge around attracting and retaining candidates requires a personalised approach. As workforce experts, ManpowerGroup finds work for millions of people every year across 80 countries, helping hundreds of thousands of companies attract, assess, develop, and retain skilled workers. Find out how we can help your organisation find and retain the best talent in this era of talent shortage.